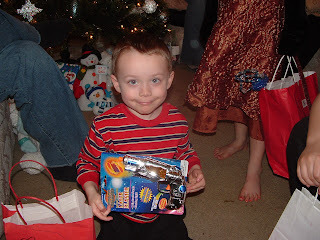 Joe Joe got a gun for Christmas from Grammie and Grandpa Harty. It is just his size, and makes shooting noises. Nice. Luckily, the batteries won't hold for long.